From the world-renowned etiquette expert and her granddaughter, Liv Tyler, a savvy guide to 21st-century manners for professionals who want to be confident and successful in the business and social arenas. Developing good manners is an important investment in your future. They allow you to feel at ease in any situation—and give you the polish and confidence to become a leader. Etiquette expert Dorothea Johnson’s essential dos and don’ts address both 21st-century and classic questions, including: Acing job interviews • Giving confident handshakes • Making conversation • Proper business attire and meeting protocol • E-mail etiquette, including what to post—or not—on social media • How to deal with rude cell phone users • Conducting a meeting at a restaurant • Attending business or social events • Table manners. With style, wit, and delightful commentary throughout from her granddaughter, Liv Tyler, on everything from being a good guest to finding a balance with technology, Modern Manners is the must-have guide to ensure your success. 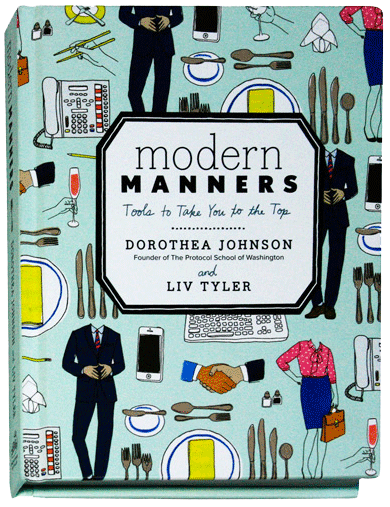 Purchase Modern Manners directly from your retailer of choice. 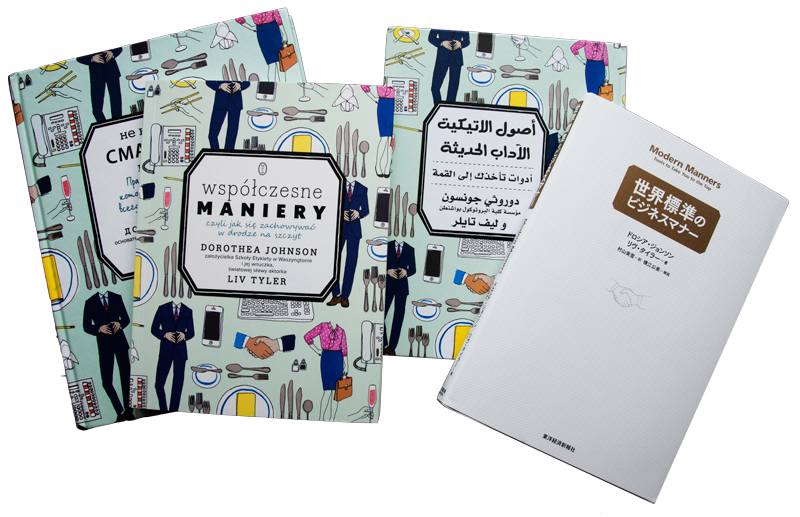 Founder of The Protocol School of Washington,® Dorothea Johnson has presented seminars and briefings on manners to more than 100,000 individuals worldwide. She has authored/co-authored six books, including the bestselling The Little Book of Etiquette, and has appeared as an etiquette expert on The Ellen DeGeneres Show. Liv Tyler is an internationally acclaimed actress, whose films include Stealing Beauty, Empire Records, Armageddon, That Thing You Do!, The Lord of the Ring trilogy, The Strangers, The Incredible Hulk, and Robot and Frank.